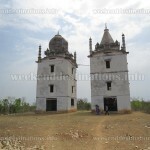 Places to see in McCluskieganj: Travellers visit McCluskiegunj to spend a peaceful weekend in a quiet colonial village. 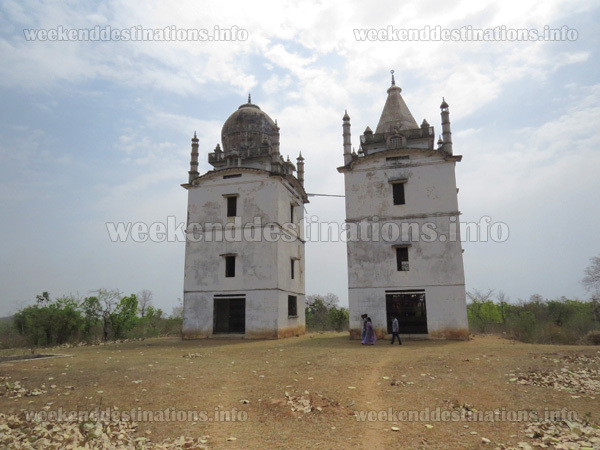 You would find some elegant British bungalows like Gordon Sahib’s bungalow, few churches and a very interesting monument in the nearby Duli village where a temple, a Gurudwara and a mosque is built side by side. McCluskiegunj is a typically hilly region within the Chota Nagpur Plateau with a beautiful natural landscape dotted with hills, rivers, jungles and villages. Another popular local spot is the Jagriti Vihar built by the Swedish Government for people interested in nature study. The Don Bosco School and its sprawling gardens and bungalows turned into student hostels are few other attractions. The small Railway Station, which services only two trains every day, still holds some interesting features of its colonial past. Nearby attractions of McCluskieganj: This little colonial township is surrounded by forests and hills on all sides. The Dugadugi River just 4 kms away is a popular local attraction here. Ranchi, the capital of Jharkhand is only a 3 hours drive from McCluskiegunj. You can keep sightseeing in and around Ranchi like Tagore Hills, Rock garden, Kanke Dam and markets of Ranchi in your itinerary too. 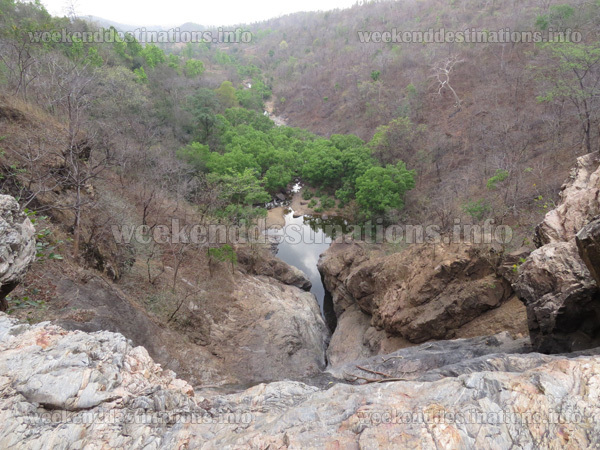 If you have a day in hand, you can also stay back at Ranchi and take a day tour to Dassam Falls, Hundru Falls and Jonha Falls. Another interesting place on the outskirts of McCluskieganj is Kothari – a dense patch of jungle with a beautiful landscape littered with hills and streams. You would also find some open-pit coal mines around McCluskieganj. Things to do in McCluskieganj: Take a walk around the local villages and visit the grand British bungalows and their gardens. You can hire a local car and do some local sightseeing in local churches, jungles, Duli Village and nearby coal fields. 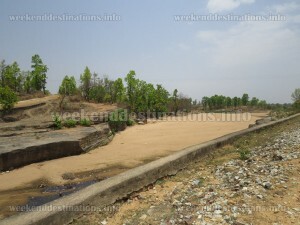 You can also enjoy a riverside picnic on the banks of Dugadugi River just 20 mins drive from the township. How to reach McCluskieganj: Shaktipunj Express is the only direct train from Howrah to McCluskieganj, but it reaches McCluskieganj at around 11:30 pm. However, the most convenient way to reach McCluskieganj is via Ranchi. There are numerous trains connecting Howrah and Ranchi and you can hire a car or take a bus from Ranchi to McCluskieganj. 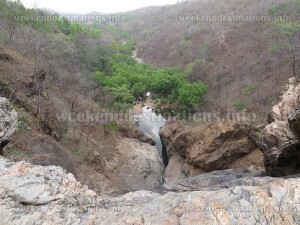 It hardly takes 3 hours (92 kms) from Ranchi to McCluskieganj and the road is very scenic. Best time to visit McCluskieganj: This little township has a sparkling weather with warm days and cool evenings. This is one of the main reasons why the British loved this “Little England” of theirs. The daytime during summers is quite hot and dry but the evenings are cool. Winter and rainy season are the best times to visit McCluskieganj. Lodging and dining facilities in McCluskieganj: This colonial village has a well-equipped guesthouse with standard facilities for guests. 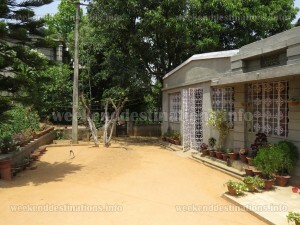 Located close to the facilities, this guesthouse offers good food, clean and well-maintained non AC rooms with attached Western bathrooms and a patch of open space and garden. There is a dining area and a small lobby for the guests too. This nice cozy guesthouse and its friendly staff also arrange cars for local sightseeing and pick-up and drop from the station. Food served is essentially Indian cuisine and simple.